James & Vilma Everette have been married for over 35 years and have two sons and four grandchildren. They have been involved in ministry since 1986 hosting home Bible studies and serving in a variety of areas. They were leaders over high school and college age groups and have a passion for sharing the Word of God with people. James has his BA in Christian Studies and has been involved in chaplain work for the San Diego Fire-Rescue Department and Community Chaplain in San Diego. He retired from the Fire Department and now serves full time pastoring Father’s House Church International. 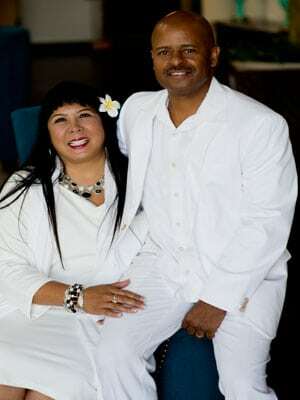 Pastor James observed a supernatural change in his wife, leading to his own encounter with the love of God. He truly was changed into another man, abandoning drugs and turning his life whole heartedly to following the Lord. They both gave themselves to the Word and getting involved in the local church. Vilma has her BA in Behavioral Science and a Masters in Family Counseling. She has a passion for helping children and women grow into the person God designed them to be. She recently retired as a high school counselor and is serving alongside her husband in building up the body of Christ. Together they encourage the Body of Christ to walk in His fullness and to allow the Holy Spirt’s transformation. By committing to get involved, your gifts become active to help others. Your involvement helps keep you connected, even when your flesh will not want to come together. By learning to walk together in love, and in faith, we all benefit and mature. Giving God pleasure that His children show forth His Son’s love. We are affiliated with two other organizations: Rhema Bible Institute and Kenneth Copeland Ministries. Pastor James is personally accountable to our Board of Trustees as well as to several other ministers.